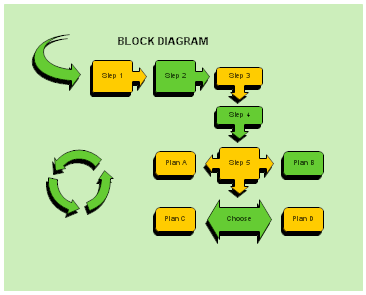 Many of the shapes used on this page are in the Block Diagrams and Arrows stencil. To open this stencil, click the More Shapes button in RFFlow, Block Diagrams and Arrows, and Add Stencil. 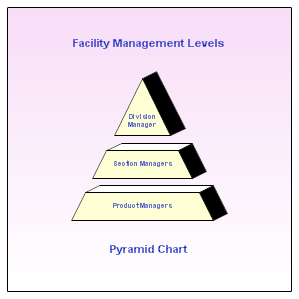 Pyramid charts are used to show hierarchical lists. 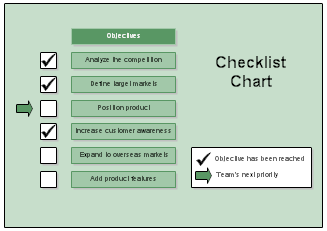 You can use them to show business goals or customer requirements. The most important item is usually placed at the top of the pyramid. 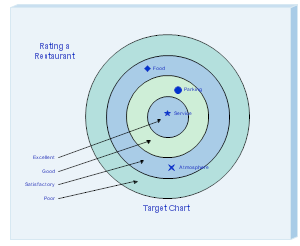 A target chart allows you to rate items by placing them in one of several concentric circles. The center is the highest position. 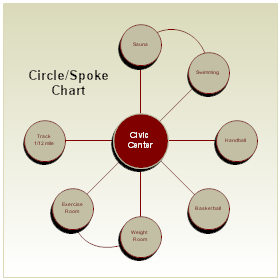 Spoke charts have a central item surrounded by other items in a circle. These charts can be used to show the features or components of the central item. 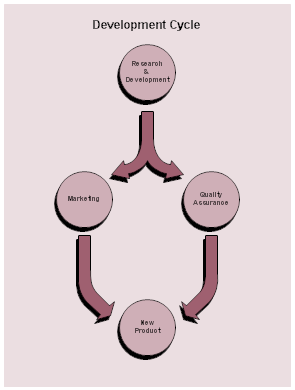 Curves are drawn between related components. 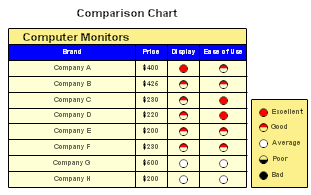 Comparison charts are used to compare products by rating their features. 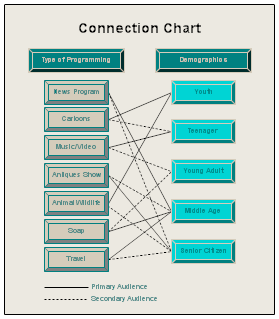 This connection chart lists different types of television programming on the left. These include news programs, cartoons, music/video programs, etc. On the right is a list of different age groups. A solid line connects the primary viewers with a program type. A dotted line connects the secondary viewers with a type of programming. 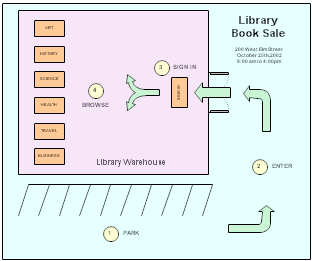 A check beside an item means that item has been completed. An arrow shows the next item to be worked on. In drawing bar charts, you may want to add the Gantt stencil. 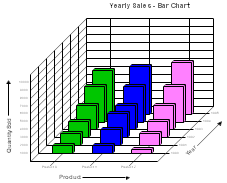 It includes shapes for the months, years, and quarters which also show up on bar charts. 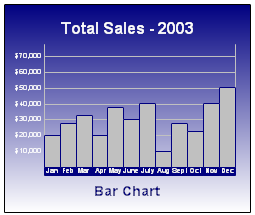 This bar chart shows the total sales for three different items between 1990 and 1995. 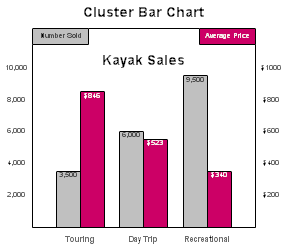 This bar chart shows the number of kayaks sold and the average price for three different types of kayaks.